Gloss black finish on cast iron. Use for burning inense sticks in the 3 hold section. 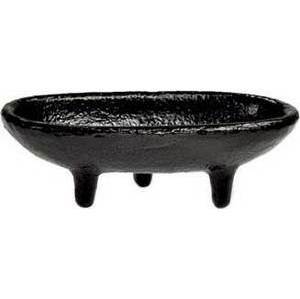 You can add a charcoal disc for other style resins or powdered incense. Finish may burn off with items other than stick incense. Add sand to help protect finish if other items are burned. Cast iron. 3"